Thanks to my podcast sponsor, Liquid Web, for sponsoring The WPChick Podcast! I know that lead generation and list building are nothing new but hang in there with me. We’re going to go in a little different direction with this and a lot of it might be new to you (or you might be aware of it but haven’t implemented it… yet). My goal with this episode is to get you to look at lead generation and list building from a different perspective, not just something that internet marketers push because “the money is in the list”… because let’s face it, in this case, quantity doesn’t count as much as quality. I was recently reading a post by Matthew Woodward where he deleted over 40k subscribers from his mailing list. First of all, kudos to him for doing that. My last purge was over 1000 people, and that was painful. I can’t imagine deleting 42k subscribers. However, he just saved himself a ton of money by getting rid of people who were not responsive. Anyone who hasn’t opened your email in the past 6 months probably needs to go. Plain and simple. Let’s start with the missing piece of the puzzle to all of this. There is a correct way to build a list and an incorrect way to build a list. The problem is that you don’t know it’s incorrect until after the fact (at least I didn’t). And let me say that doing something is always going to be better than doing nothing. I will confess that I haven’t ever purchased a list building course (at least not to my recollection… 9 years in it’s quite possible there is something sitting on a hard drive somewhere that promised me wealth through list building). Not because there weren’t plenty of opportunities, but quite frankly, none of them seemed all that appealing to me. I know that’s probably over-simplifying it a bit, but you get the picture. I’m sure there are courses or people out there who get much deeper into this stuff, but for the most part, it seems like so much of this stuff is assumed. Marketers assume you know how to do this or are already doing it. Take ClickFunnels as an example. As a ClickFunnels customer, you can share funnels and import other people’s funnels. But if you don’t have the foundation set up to manage your new subscribers it’s a lot of energy for nothing. Because the magic starts happening in the background with automation. And none of this includes how you choose to communicate and email your subscribers once they’ve gone through whatever initial email sequence they signed up for. 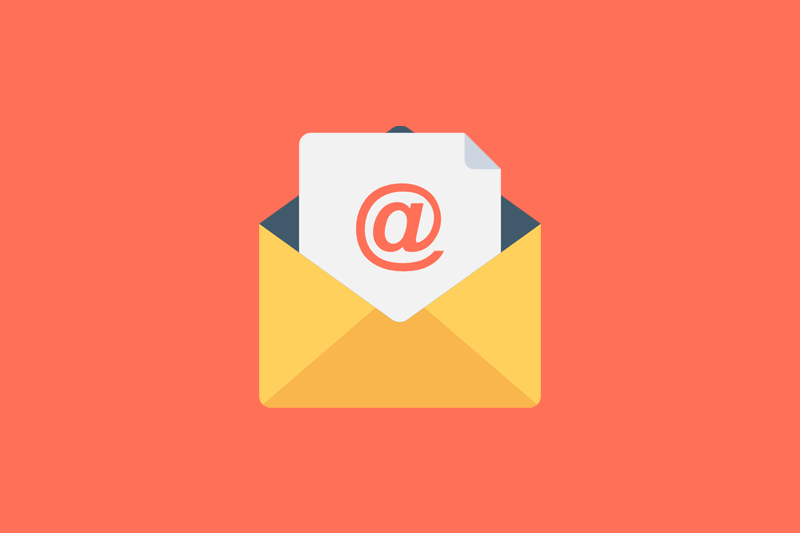 Aweber was one of the first email marketing companies I used and it was great for what I was doing at the time. Aweber didn’t have tagging options when I was with them (as of this writing they still don’t have options for tagging. There is the ability to create segments but I don’t know enough about that to talk about it here). For a long time, I stuck with simply using lists to segment even after I left Aweber. Once I moved to another platform (probably one of my first times with Infusionsoft), I started tagging people as well (even though I wasn’t doing much with the tags). My first task was to go into Active Campaign and clean up my lists and then tags. Like I do with everything else, I started with the end in mind. 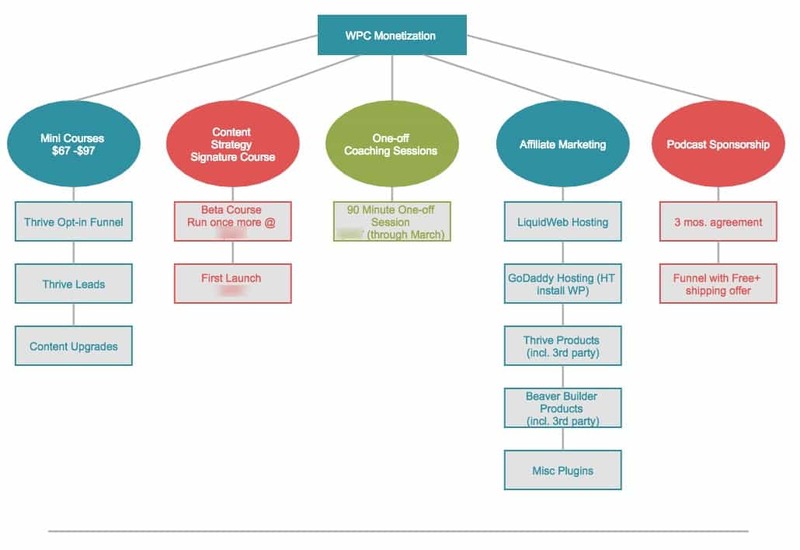 I mapped out the monetization model for WPChick. From there, I had to take a look at my lists (and any corresponding follow-up sequences) and see if they made sense. I had lists (and tags) that didn’t fit into the model that I had mapped out. I had to decide if there was something that made sense to move them to OR delete the list entirely (fortunately I didn’t have anything that was too out of sync with what I had created). The next step was to then go in and clean up my tags and create a tagging framework. A friend shared Anne Headen’s Active Campaign tagging framework which made a ton of sense to me and was easy to implement. I adjusted the framework from her suggestion so it fit my business model and have stuck with it since I implemented it ( a few weeks ago). What I’m finding now though is that there are tags ‘out there’ that still need updating (I’ve gone through all my Thrive Leads forms but apparently I’ve missed a few because as people opt-in the old tags are showing up in my account again, so I have to go in and clean them all up again. Active Campaign makes this pretty easy by allowing you to delete a tag and move those subscribers to another tag). I have a handful of lead magnets already (one I just updated) but didn’t have a sequence (funnel) in place with a solid strategy. The sequence I created for the first lead magnet on the left is a simple follow up sequence that leads to an offer at the end. Follow up sequences are great for engagement but if you don’t an offer in there somewhere you’re shooting yourself in the foot (something I’ve done on plenty of occasions). As of the writing of this post, I have the first lead magnet sequence completed set up and running. I need to write the emails for the second sequence (and may do more than 4 emails and change the time intervals between emails) but should have that done within the next week. Some of this might look like a lot of work, but I can tell you it was SO worth it. I now have to do this for each lead magnet I’ve created and make sure that my content upgrades throughout the site are updated with the relevant follow up sequences as well. So important, but not my favorite topic. I’ve always done the basics with tracking, measuring, and testing, but have finally jumped full force into doing this correctly and with some structure. There’s way too much to cover in one podcast episode, but here are some simple things you can do to begin. First, make sure you have Google Analytics installed and everything is working in Google Search Console (used to be Google Webmaster tools). Make sure your site is being indexed and tracked correctly from Big G.
The next step is to ensure you’re creating UTM tracking codes for all the links you’re creating in your email campaigns. I did a recent post and video on how to do this (it’s much simpler than you think) on LeadSurveys. You can check out ‘How to Create UTM tracking codes’ here. Lastly, create a tracking method that works for YOU. I’ve finally fallen in love with Google Docs, sheets, drive… the whole kit and kaboodle. I’m using Google Sheets for everything (still in the process of setting things up) and am going to see what I zaps I can create (via Zapier), to automate as much tracking as possible. This is one of those areas that I tend to ‘insert foot in mouth’ often. More confession time… sometimes I don’t give things the due diligence or attention they need to actually ‘work’. Even though I have my ‘staple’ of things that I use (Thrive Leads and Thrive Content Builder), I love testing and playing with new things. I also think it’s vitally important to try new things because they may convert better. I’m still using Thrive Leads (and will continue to), but there are display rules with Thrive Leads that are a little ‘limiting’ (for lack of a better word). 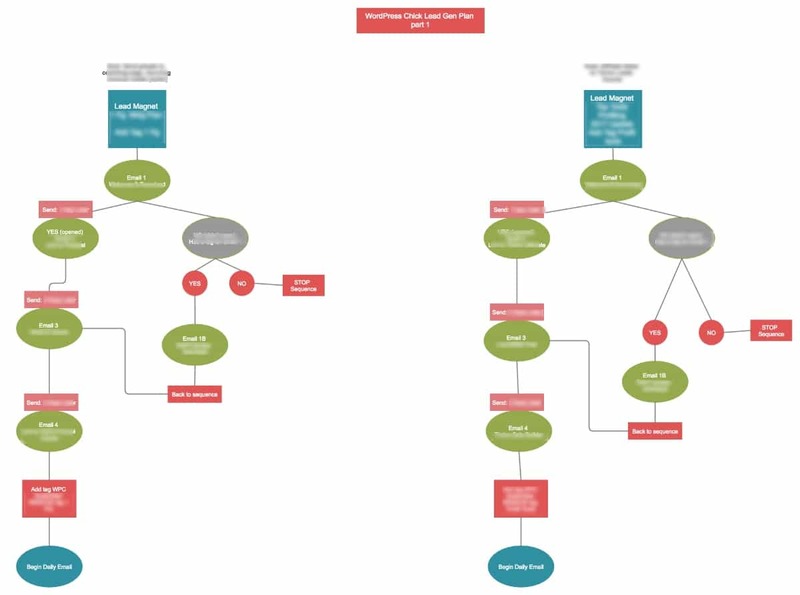 CovertFlow has campaigns and flows. I had tried ConvertFlow last fall, but wasn’t happy with the lack of documentation or how the dashboard was set up. Things have changed since then (I canceled). My guess is they have had an infusion of cash and probably someone helping them with the things that were lacking (good onboarding was severely lacking and the only documentation at the time was 4 blog posts. Now they have videos each step of the way). While I’m very impressed with the changes that ConvertFlow has made I’m not sure where I stand with staying with it. I’ve got a little time left on my trial, so we’ll see. The key is going to be getting a good flow set up and having enough people go through that (which means I need to finish that up). I’ll keep you posted on the testing. Great to hear my tagging framework worked for you Kim. I advise my clients to have a framework from the start, many of whom don’t see the point when they’ve only got 2 or 3 tags but as they start randomly adding tags, they soon can’t remember what they’re for, what they relate to and if they take on a team member, it takes an age for them to work out all the tags – it can quickly become a mess. Great framework. It’s made a huge difference! More often than not these things get overlooked (by a lot of people teaching list building). I’ve been on a bit of a rant about getting fundamentals set up 🙂 … your framework was exactly what I needed. HI Kim – great post! I found your post by accident but it got me laughing a bit. “The money is in the list”… if only I had $1 for everytime I heard that over the last many years! Love your openess about your learning of new tools and system. I was researching out Convert Flow, use Active Campaign and testing Click Funnels. I use Gravity Forms for most of my lead gen but need to up the ante for an insurance client. Looking for an advanced conditional based form builder that can hook back to say ActiveCampaign and then hook into an automated lead disbursement platform with rules per rep, lead type (Call vs email) and geography. Lots of moving parts. The hardest part like you said is testing and testing and more testing to see if all the integrations work well! Thanks! Yea… “the money is in the list” is a little bit tired, right? I’m excited because it seems that we’re moving more towards personalized marketing, quality subscribers (vs. quantity… of course if you can get a large quantity that is quality also that’s idea) and a more authentic relationship with subscribers. I’m still working on a balance between testing (too much), and giving things time to evolve and get some traction.